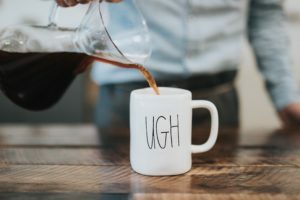 Start Your Day Off Right: 5 Things You Can Do To Make Your Day More Productive – Parliament Marketing LLC. Hi! My name is Adrien Spiegel. I’ve always been interested in how different people define success, and how they were able to reach it. Finding the underlying formula to how these people find their own definition of success is what drives my curiosity, and I’d like to share my findings with you in Parliament Marketing’s Motivational Blog Series. I am the first to admit this, but I am not a morning person. If I could I’d lay around in bed into the afternoon I would, and in the past I most certainly have. But this past year, I’ve made an effort to be more mindful of how I manage my time and how I can be more productive. I spent hours reading blogs and articles to see what I could do to start my day in a more productive manner right from the moment I wake up! Over this time I was able to find out which solutions helped me most in sparking productivity and I’d like to share my top 5 with you! Get Enough Sleep, Wake Up Early. It would seem obvious, but the first step to a productive day is to make sure you sleep well and wake up early! It’s simple logic really, if you are well rested you will have energy and stamina to get you through your day. Additionally, when you wake up earlier you have more time to accomplish your goals throughout the day. This means that in order to become more productive you may have to sacrifice late nights out with friends, late night binges of your favorite Netflix shows, or whatever else keeps you awake until an unreasonably hour. According to the National Sleep Foundation, a young adult, such as myself, should be sleeping for 7-9 hours a night; if I want to be awake by 6am, I need to be asleep by 11pm at the latest. Getting my sleep schedule under control was the first step in changing my day-to-day productivity, so make your sleep schedule a priority and check the link above to see how much sleep you need for a productive day! According to the USGS, the average female adult is 55% water, and the average and male adult is 60%. Crazy right? In order for your body, which is primarily composed of water, to function properly, you need to hydrate it. When you consider that you can’t drink water while you sleep you can begin to understand why drinking water first thing in the morning is so important. There are too many benefits of drinking water first thing in the morning to list here, but thankfully A Life Of Productivity already covered it for me. Check out the link to learn more about hydrating in the morning. It’s super easy to make sure to drink water when you wake up, just fill up a water bottle before you go to be and have it waiting by the side of your bed. When you wake up, drink the bottle before you continue on to the rest of your morning routine. Easy! Waking up for your day can be hard enough, but waking up to exercise before your day even starts!? No way. At least that’s what we tell ourselves initially at the thought of exercising to start our day, but in reality it is a proven productivity hack! It seems counter-intuitive, but by exercising and expending energy to start your day, you actually increase your energy levels and your metabolism for the rest of the day. Not only that, but the endorphins and dopamine released from your workout can help reduce stress and anxiety, according to the ADAA. Although it was really tough to get myself mentally ready for a morning workout, the benefits of starting my morning by exercising have really changed my life. Exercise has helped me sustain my energy over the whole day, start my workday with a positive go-getter attitude, and deal with stressful situations in a more relaxed way. Although it may take some time to get used to, once your body acclimates, it is really impressive how much morning exercise can change your day for the better! Just like hydrating in the morning, eating in the morning is very important too. You can’t drink water or eat while your sleeping, so when you wake up your body craves calories to replenish your energy for the day. Without outside nourishment, your body will begin breaking down your muscle proteins into amino acids to fuel your body, and your energy levels can be drastically reduced, causing you to feel tired and slow. But if you eat a healthy breakfast you can stop your body from this breakdown. Now this isn’t a nutritional blog, but if you do need some recommendations on foods that make up a healthy breakfast, HealthLine can get you started. If you want to know more about what happens to your body when you don’t eat for sometime, Medical Daily has some info for you. Seems silly to even bring it up right? Although simple, a lot of people I know neglect planning out their day, and as a result they don’t normally accomplish all that they would have liked to. See, creating a to-do list is the first step to being able to manage your time. By understanding what you have to do in a day, you can then strategize as to when each task will be completed based on their priority level. In this way you can adjust your list for everything from urgent last minute projects at work to the hour of reading you wanted to do before bed. Having an organized list that I can refer to helps keep me on track throughout the day as well as allow me to monitor my progress. Some people are old school and prefer to organize their thoughts with pen and paper, which can be very effective for some. I have found that an app is the best solution for me, and of those I have tried, Todoist is my favorite. Figure out what method is best for you and stick to it! Consistency is key in managing your tasks and your time! It was no walk in the park to adopt these practices, and it didn’t happen overnight. I personally had a lot of bad habits to try and kick in order to make room for the good ones, so it took me quite a bit of time. I saw setbacks, but I learned from them. As long as you are consistently making a genuine effort to improve your morning routine and your productivity, you are on the right path. If you’re just starting to pick up healthy morning habits, start with one and build from there! You’ll find it is easier to change little by little rather than all at once!